Anything about the vintage style is becoming quite hot and popular. If a woman wants to look more feminine and elegant, the quickest way is to put on the vintage outfit. Some people may think it is difficult to pull off the vintage outfit, for it’s easy to appear outdated. However, if you know how to make a right vintage outfit combination, you will look effortless gorgeous. Therefore, to solve your problem and get you inspired. 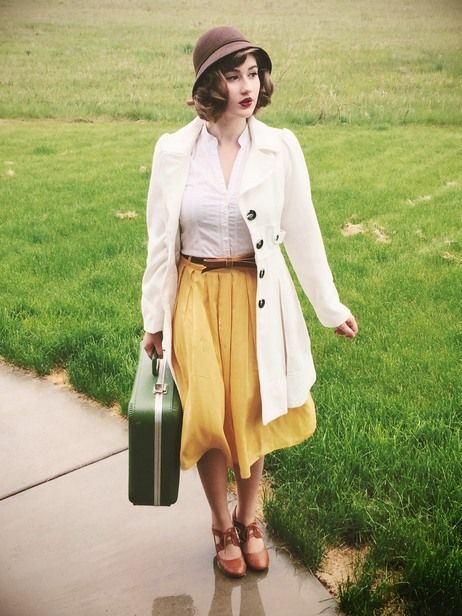 We have made a post of 17 ways to wear the vintage outfits. You will see how beautiful vintage outfits are and you will have more ideas when you want to make a chic vintage outfit look. Just stay here and check them out. Enjoy. 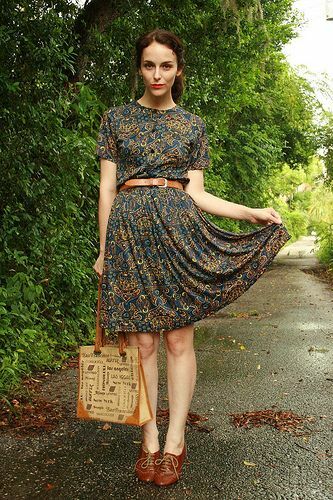 A pretty dress and a pair of Mary Jane shoes are great enough to make a fabulous vintage outfit combination. One thing you need to know is you’d better wear bright colored shoes if your dress is in a darker color. Any woman will appear more feminine with the pleated skirt. To make a vintage outfit, you can pair your camel pleated skirt with a floral top. This outfit will not only make you look elegant but also make your body legs look longer and thinner. The white blouse is effortless chic for women at any age. You can take out your white blouse and pair it with a flowing midi-skirt. Furthermore, the oxford shoes and the brown hats add more vintage vibes to the overall look. The chic chiffon skirt can also be a great piece to make a vintage outfit. You need a stylish blouse to pair it and of course, a pair of black high heel sandals will complete this outfit look perfectly. 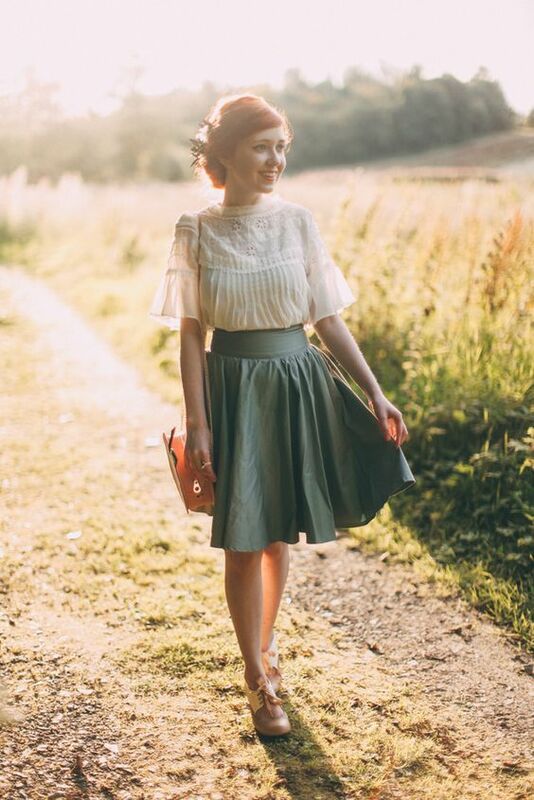 This vintage outfit look is quite sweet and pretty. 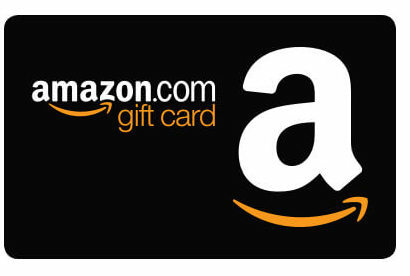 It can be a great idea to try for dates and holidays. The jasper is a fabulous color for a vintage look. You can wear a basic jasper dress and pair it with a hat or a long coat. Then, you can get quite an elegant vintage outfit. If you don’t like those dark colors, you can also make a pretty vintage outfit. Here is a good idea. You can pair your pink tulle skirt with floral printed knitwear. 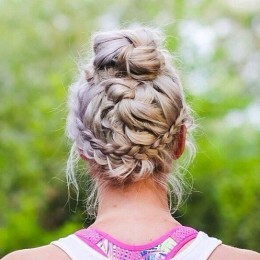 Plus, a braided hairstyle will make your overall look more vintage together with the outfit. The floral dark green dress is effortless chic for a vintage look. 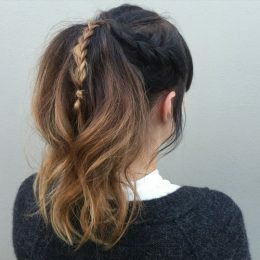 Change your hair color into the reddish brown, which will make your whole look more fashionable. 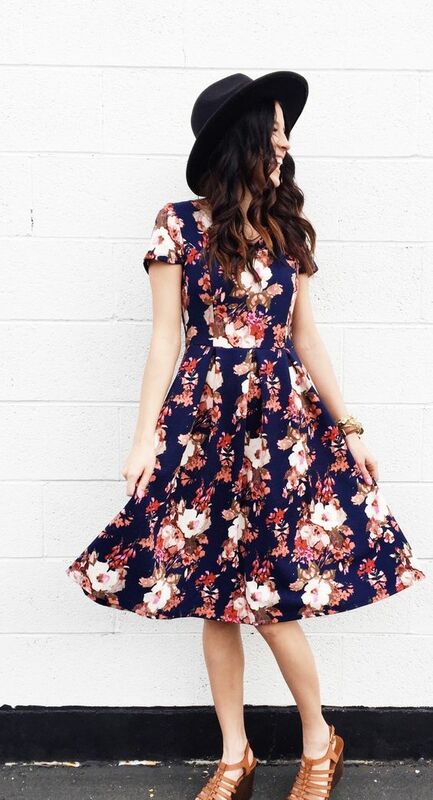 It seems that the dresses in darker colors are all great for a vintage outfit. However, if you want to be chic, just choose those dresses with special prints and patterns. 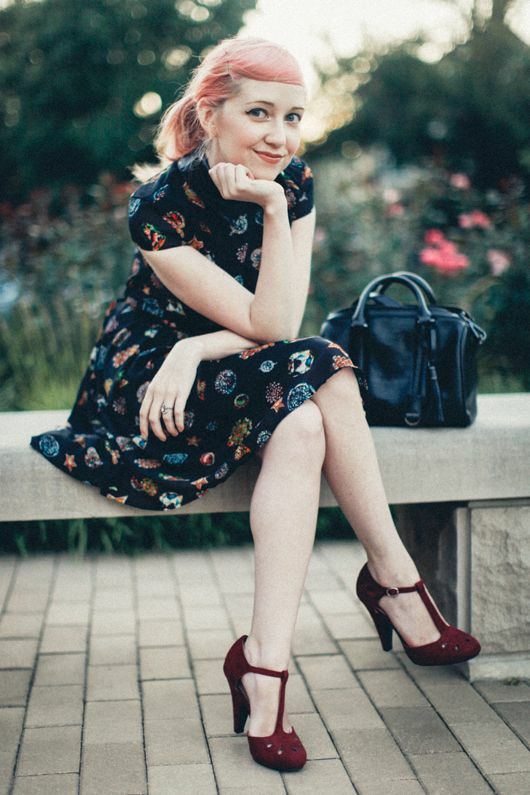 For young people, you can wear a printed dress and a pair of Oxford shoes to get a vintage outfit. This outfit combination is great for all occasions. Pastel green and pink pieces can also be used in a vintage outfit. But they are more youthful compared to the dark vintage outfits. A grey shirt and the casual jeans can make a chic 90’s style outfit. This is also a faddish outfit for work. The black trousers and pink blouse look quite feminine when they meet each other. This outfit idea is also a chic office outfit look. The ankle-length skirt is a wise choice for a vintage outfit. Besides, the lace white top adds more modern touches to the overall look. This sweet outfit look is great for young women to copy. Sometimes, a small accessory will make a big difference to the final look. So, you may put on a hat to spice up your vintage outfit look. Wear a hat that’s in the similar color of your skirt. This is a wise way to make a chic vintage outfit, because you don’t need to worry that you are wearing the wrong hat. The black hat can also make a fabulous holiday outfit. 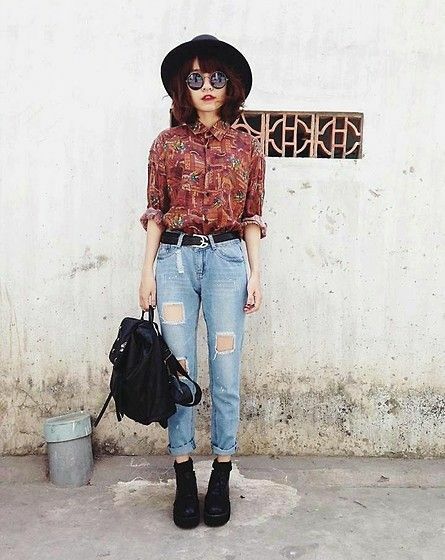 The printed shirt and ripped jeans are super cool to make a retro chic outfit.